- Made of aluminum. Very light and good corrosion resistance. - Places for controlling wind and preventing rain, dust, etc from entering. 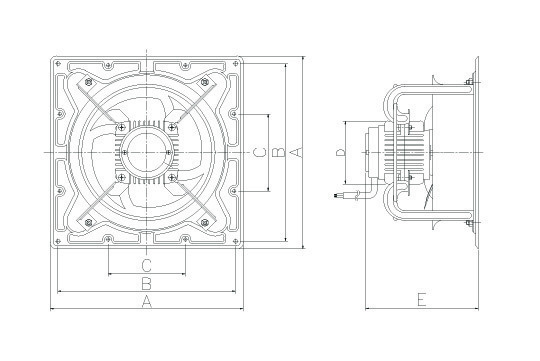 - Assembly with high-pressure ventilating fans, Industrial wall fans, etc.